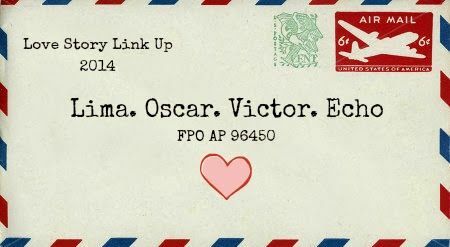 This week, I am linking up with some lovely ladies for the 'Love Story Link Up 2014', hosted by MBB. Dan and I went on our very first date on February 25th, 2009. We had been planning it for about a week and had continued to hang out as friends for that week. I had just got out of a relationship a few weeks earlier, and I had been going on dates with anyone who asked me. It had been a long time since I had gone on a date, so I was just having fun (and enjoying the free meals!) for a couple weeks. One day, as I sat in the Writing Center on campus (where I worked), I received a Facebook chat message from Dan, who was becoming a good friend and running buddy. The message simply said, "So I hear you're quite the player these days." He was referring to my random dates with people. I laughed and said, "Yeah, you better watch out. You might be next!" Dan replied: "I wouldn't mind going on a date with you." And that was that. We agreed to go on a date and see what happened from there. We're still unclear about who really asked out who. He planned quite an amazing date for a Wednesday night. We confirmed everything the night before at our normal Tuesday night Phi Sigma Pi meeting, and he picked me up at 5:00 on February 25th, 2009 at my apartment in Warrensburg, MO. I didn't know exactly what we would be doing that night, but I was excited. Luckily for me, he has continued to plan amazing things for me, and he loves to surprise me! As we began driving toward the highway, I inquired about where we were going. At that point, Dan told me that we were first going to dinner at Siki, a Japanese Hibachi Grill in Lee's Summit, MO, which is about 45 minutes from Warrensburg. I was excited to leave Warrensburg, and I told him that I'd been wanting to try Siki since high school. (I really had. I drove by it all the time when I left Raytown, but I had never been). He told me he had called ahead to make sure they had vegetarian options for me, and I foiund that INCREDIBLY sweet of him. When we got there, we were seated next to each other instead of across from each other. My first thought was that it was going to be weird since it was our first date, but it turned out to be just right. We talked, laughed, watched the hibachi chefs put on a show with our food while cooking it right in front of us, enjoyed the delicious meal, and got to know each other better. It was the perfect setting for a first date! As we ate, Dan told me that he had other plans for after dinner. He said we would be going to a comedy club in Kansas City to see a comedian. I was ecstatic because I'd never been to one before. I asked him where it was, and he mentioned that it was at The Legends. I told him we better get going, then, because that's a pretty long drive. He had no idea, though, since he's not from Kansas City. He didn't realize how stretched out of a city it really is. He had assumed we would just drive right up the street, but it was, in fact, another 40 minutes to get to the comedy club, which gave us lots of time in the car to keep talking. When we finally arrived at the comedy club, we took each other's hand and walked in like it was natural. And it WAS! I knew then that he was special, but I had NO IDEA what our relationship would turn into. We had a blast and laughed our butts off at the comedy show, and we drove about an hour and a half back to Warrensburg together, talking all the while. We decided then to make things official, and when we updated our Facebook Relationship Status the next day, we had all kinds of friends who were shocked but happy for us. Dan had the second half of second leave during the summer of 2011, so we planned a road trip for that time. We first went camping on an Indian reservation in southern Colorado. Then, we spent three more nights camping at the Grand Canyon in Arizona. After that, we spent a few days at Luke Air Force Base in Phoenix, Arizona, where Dan got to sit in on a training flight for an F-16—which caused us to get into our next destination (Kirtland Air Force Base in Albuquerque, New Mexico) more than a little bit late. We didn’t get in until 1:30am, and Dan said he had a surprise for me, but we had to get up at 4:30. When the alarm went off, we were both tired and groggy from driving so much the day before, but I love surprises, so I excitedly got dressed and ready! He told me I had to wear tennis shoes, so I began growing suspicious. What were we going to do? He drove me to a Village Inn parking lot, where he said we were meeting some people. Doesn’t this sound sketchy? It was before I knew what was going on. A van pulled up with a weird looking basket on the back of it, but I still didn’t pick up on what was happening. We got into the van, and the guys told us we needed to sign a safety waiver, so I read it, and it was for a hot air balloon flight!! (During Dan’s prep school basic training, I saw a hot air balloon on my way home from work one evening, and I told him about it in a letter and how much I wanted to go in one… and he promised me that he would take me on one someday… I guess this was it!). I thought that was the entire surprise. I mean, come on! What a huge thing! I had no idea he had a ring in his backpack. 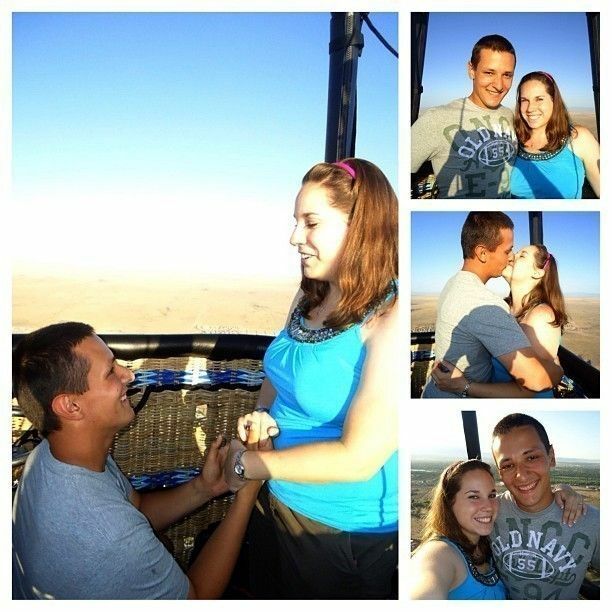 When the hot air balloon pilot said that there were about 10-15 minutes left in our flight, Dan asked him to take a picture of us. We took one regular picture, and then Dan said: “Okay, one more pose,” and he got down on one knee. By this point, I was shaking (and ecstatic!) because I knew what was going on. He told me that I am the most amazing woman he knows and how he is glad that I am here to support him through the Academy and that there’s only one more thing he could ask for: for me to be his wife. I was in shock, but I said, “Of course!! !” Then he got into his backpack and pulled out a ring, and asked, “Janelle Vannice, will you marry me?” I couldn’t even speak, so I shook my head YES! The pilot got a few pictures of Dan proposing, and I am so glad that he did. I will cherish those photos forever! The ring is absolutely gorgeous—just what I wanted! He did a great job picking it out (with a little bit of help from Ellie), and it is just PERFECT for me! 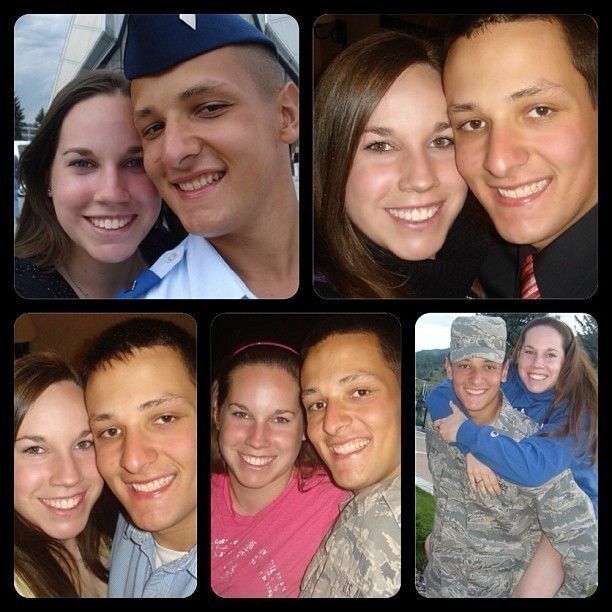 Our wedding is on May 30th, 2014, just two days after he graduates from the US Air Force Academy! We are down to about three and a half months to go (finally! ), and we absolutely can't wait! Aww! I always loved hearing Dan stories and seeing pictures of you guys together on the message board. :) So happy for you guys! 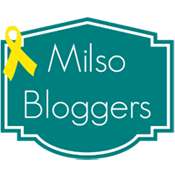 I just realized that your blog was not switched over to my new Bloglovin' account. Sorry for being absent!